Heading into the final stretch of 6th Congressional District Republican primary, we want to point out two recent high-profile endorsements that should bolster Delegate David Vogt’s congressional campaign. Vogt was recently endorsed by Maryland Right to Life and The National Rifle Association. There is no doubt that these endorsements cement Vogt’s conservative bona fides in an overwhelmingly conservative Republican primary electorate. 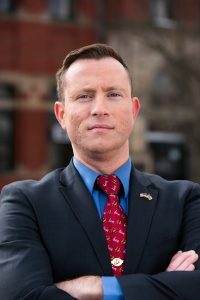 The Frederick County delegate was also endorsed by Combat Veterans For Congress and 30 conservative leaders, including several of his House colleagues, from across the state.